Pentecostal and charismatic movements are fairly young phenomenon in Ethiopia. With missionary beginnings in the 1950s, the movement first gathered momentum toward the end of the 1960s in the prayer meetings of university and High School students. Despite long periods of underground activity, especially during the Derg regime, it grew to be the main force in current Ethiopian Protestant Christianity, even reaching the Orthodox and the Catholic in small charismatic groups. When the first Pentecostal missionaries came to Ethiopia in the middle of last century, different Baptist, Presbyterian, Lutheran, and Mennonite missions were already established. Anna-Liisa and Sanfrid Mattson of the Free Finnish Foreign Mission were the first Pentecostals who managed to establish a continuous presence in Ethiopia in 1951 and extended their work from its original regional setting to Addis Ababa in 1956. Of the different initiatives by Swedish Pentecostals the most influential one was the “Philadelphia Church Mission” founded by Karl and Ruth Ramstrand in 1959/60 in Awasa. The early history of Pentecostalism in Ethiopia, however, can not be condensed to missionary activities. It is a history of multiple beginnings: prayer meetings of Addis Ababa university students, a prophetic movement among High School students in Nazareth, revival meetings at the teacher training institute in Harar, a break-away of students from the Finnish Mission in Addis Ababa, and the ministry of a Kenyan evangelist, for example. 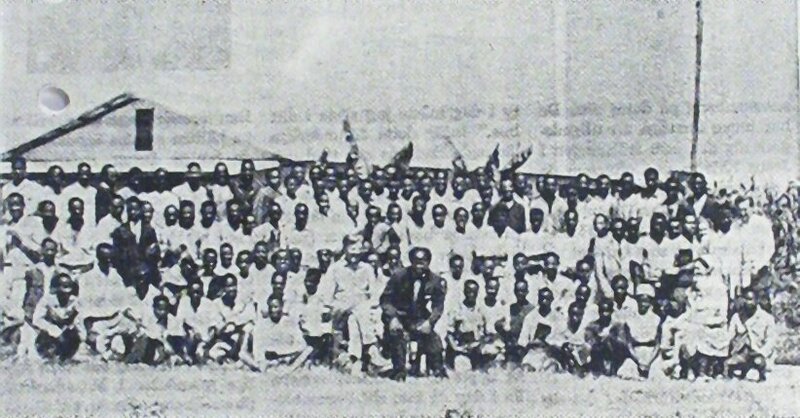 These multiple beginnings were of course not disconnected, and some of the missionary activities, like the Awasa summer bible school, served as a hub for the emerging movement. 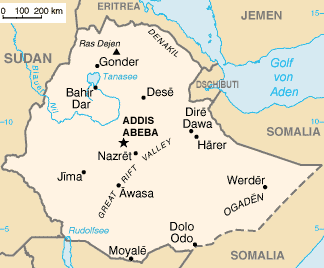 However, the centres of early Ethiopian Pentecostalism quickly shifted away from the missions and eluded their control. The emphasis on one or more of these beginnings often serves as a denominational identity marker when history is told. On the national and the local level one will often find a competition for chronological precedence in historical accounts. Even some churches with a previously anti-Pentecostal doctrine are now claiming shares to Pentecostal history, for example by telling stories of xenoglossy during early missionary activities, way before the Pentecostal movement. The most influential of the above-mentioned beginnings was perhaps the prayer meeting begun by Addis Ababa university students in 1965. In 1967 they convened what one Ethiopian author calls the “First National Pentecostal Congress”, and decided to form a church under the name “Full Gospel Believers' Church”. Their attempt to register with Haile-Selassie's government was not successful. The political consequences were obviously still too grave as they would have become the first indigenous religious body recognized next to the Ethiopian Orthodox Church and the Muslim Community. Despite their illegal status the movement consolidated and grew to a recognizable size. Between 1972 and 1974 the Pentecostals suffered considerable oppression, including mass detention, physical abuse, public defamation, and local mobilization against them. The 1974 revolution ousting Haile-Selassie brought some relief to the Pentecostals since it propagated freedom of religion in its early years. After the “Red Terror” in 1978, and the consolidation of the Derg regime under Mengistu Haile-Mariam, however, the Pentecostal churches were again subject to massive religious persecution and re-organized their work mostly in small and secret cell structures. The churches of non-Pentecostal missionary origin came under equal pressure. Interestingly enough, the derogatory label “Pente” (Pentecostal) was now used to label any convert to protestantism. Ethiopian historical accounts often point to the shared persecution as a cause for the “Charismatization” of classical denominations, but this seems to be an oversimplification, as it can be shown that denominational affiliations were kept by the underground movements and Pentecostal worship practices were not tolerated in the remaining open Protestant churches. Moreover, religious persecution and the church reactions differed substantially between regions and over the course of time. These processes and the undeniable “Charismatization” of Protestant churches, can only be elucidated by detailed historical studies. The years after the downfall of the military government in 1991 perhaps play an even greater role in the growth of the movement. Presently, over 250 religious denominations, churches, or ministries are registered with the Ministry of Justice, most of which belong to the Pentecostal and Charismatic spectrum. In urban settings these churches are largely an accepted part of the religious landscape. In regional settings Protestant minorities may still be excluded from social or economic life. There are considerable regional differences: whereas the Protestant churches are especially strong in the south and west of the country (even forming a majority in some regions), Ethiopia's north is still predominantly Orthodox and the east is mainly Muslim.